On the Road in ’68: A year of turmoil, a journey of friendship by Tom Leech. Price: Free. Genre: Biographies & Memoirs, Travelers & Explorers. Rated: 4.6 stars on 7 Reviews. 310 pages. ASIN: B0030EG1YC. Posted on May 31, 2017 Author KibetCategories Biographies, Free Travel Kindle Books, memoir, TravelersLeave a comment on Kindle Travel Deals for Tuesday! Posted on May 30, 2017 Author KibetCategories Budget, business, Free Travel Kindle BooksLeave a comment on Kindle Travel Deals for Monday! *Through the Porthole: First Cruise: Queen Victoria (Deal, Not Free) by Gary Troia. Price: $0.99. Genre: Travel Memoirs Deal, Sponsor, Cruise Memoirs, Biographies & Memoirs. Rated: 4 stars on 1 Reviews. 139 pages. ASIN: B01AZACVQ0. Posted on May 29, 2017 Author KibetCategories Budget, Free Travel Kindle Books, memoir, TravelersLeave a comment on Kindle Travel Deals for Sunday! 5 Excellent free kindle Travel Books for Saturday! AN EASTERN SHORE SKETCHBOOK: 60+ Years Visiting Virginia’s Paradise by David Thatcher Wilson. Price: Free. Genre: Biographies & Memoirs, Travelers & Explorers. Rated: 4.8 stars on 6 Reviews. 65 pages. ASIN: B01M0NUZ4K. The Japan Book by Christopher C. Lee. Price: Free. Genre: Travel, Asia, Japan, General. Rated: 4.6 stars on 6 Reviews. 188 pages. ASIN: B072BZHKTT. A Story of the West: John and Agnes Borrowman by Wayne Borrowman. Price: Free. Genre: Biographies & Memoirs, Travelers & Explorers. Rated: 4.2 stars on 6 Reviews. 212 pages. ASIN: B01ENXYV0E. Posted on May 28, 2017 Author KibetCategories Biographies, Budget, Free Travel Kindle Books, memoir, TravelersLeave a comment on 5 Excellent free kindle Travel Books for Saturday! New Zealand Travel Guide: 101 Coolest Things to Do in New Zealand (Auckland, Wellington, Canterbury, Christchurch, Queenstown, Travel to New Zealand, Budget Travel New Zealand, ) by 101 Coolest Things. Price: Free. Genre: Travel, Specialty Travel, Budget Travel. Rated: 4.7 stars on 9 Reviews. 42 pages. ASIN: B071HDRMWD. 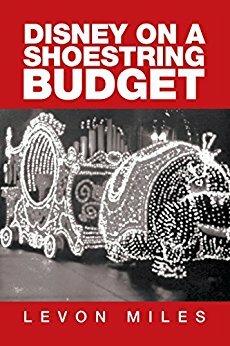 Posted on May 20, 2017 Author KibetCategories Budget, TravelersLeave a comment on Kindle Travel Deals for Friday! Travel Stories and Highlights: 2017 Edition by Robert Fear. Price: Free. Genre: Biographies & Memoirs, Travelers & Explorers. Rated: 4.7 stars on 4 Reviews. 228 pages. ASIN: B017T3HADK. The Golden Chersonese and the Way Thither by Isabella L. (Isabella Lucy) Bird. Price: Free. Genre: History, Asia, Travel, Asia, Southeast. Rated: 4.6 stars on 4 Reviews. 205 pages. ASIN: B004TP8DDS. Posted on May 19, 2017 Author KibetCategories Budget, Free Travel Kindle Books, memoir, TravelersLeave a comment on Kindle Travel Deals for Thursday! The book I wish I had! 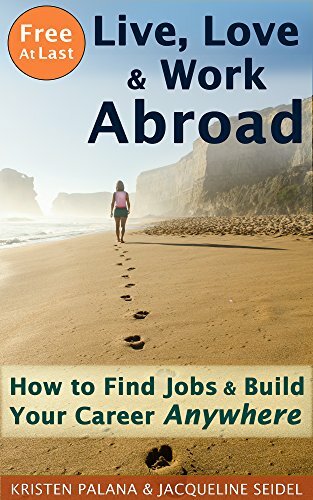 *Free At Last: Live, Love & Work Abroad: How to Find Jobs and Build Your Career Anywhere (Deal, Not Free) by Kristen Palana, Jacqueline Seidel. Price: $0.99. Genre: Nonfiction Book Deal, Sponsor, Business Travel, Work Abroad, Live Love Work Abroad. Rated: 5 stars on 8 Reviews. 228 pages. ASIN: B06XHJC4BY. *White Monkey (Deal, Not Free) by Carlos Hughes. Price: $0.99. Genre: Travel Humor Book Deal, Sponsor, Travel Biographical Fiction. Rated: 5 stars on 1 Reviews. 200 pages. ASIN: B01H0OORTS. *Learning How to Travel: A Practical Guide for First Time Travelers by Alice Pond. Price: Free. Genre: Travel, Food, Lodging & Transportation, Air Travel. Rated: 5 stars on 4 Reviews. ASIN: B071S4WTQK. *Where to Work: Medellin, Colombia: Comprehensive list of coffee shops and coworking spaces in Medellin by Nora Leary. Price: Free. Genre: Travel, South America, Colombia. Rated: 5 stars on 4 Reviews. ASIN: B071HPZMWB. Posted on May 18, 2017 Author KibetCategories Biographies, business, Free Travel Kindle BooksLeave a comment on Kindle Travel Deals for Wednesday! Tokyo Stirs: (Short Stories about Asia) by Harmon Cooper. Price: Free. Genre: Travel, Asia, Japan, Tokyo. Rated: 4.3 stars on 5 Reviews. 176 pages. ASIN: B00XQRU4N2. Posted on May 17, 2017 Author KibetCategories Biographies, Budget, business, TravelersLeave a comment on Kindle Travel Deals for Tuesday! 6 Interesting Free Kindle Travel Books for Monday! *White Monkey (Deal, Not Free) by Carlos Hughes. Price: $0.99. Genre: Travel Nonfiction Book Deal, Sponsor, Fiction Based on Real Facts, True Accounts Fictionalized. Rated: 5 stars on 1 Reviews. 200 pages. ASIN: B01H0OORTS. *Cruising the Atlantic: Our Epic Journey from Barcelona to Miami. by Sunny Lockwood, Al Lockwood. Price: Free. Genre: Biographies & Memoirs, Travelers & Explorers. Rated: 5 stars on 7 Reviews. 166 pages. ASIN: B01LXO6679. *Travels Into Bokhara : A Voyage up the Indus to Lahore and a Journey to Cabool, Tartary & Persia. by Alexander Burnes. Price: Free. Genre: History, Middle East, Egypt. Rated: 5 stars on 4 Reviews. 172 pages. ASIN: B01MSJ52K7. *Fika: The Swedish Art of Feeling Good. Coffee, Cake and the Simpler things in Life. by Julia Edwards. Price: Free. Genre: Travel, Europe, Scandinavia. Rated: 4.6 stars on 14 Reviews. 40 pages. ASIN: B072L87ZMQ. Posted on May 16, 2017 Author KibetCategories Biographies, Budget, business, Free Travel Kindle Books, history, memoir, TravelersLeave a comment on 6 Interesting Free Kindle Travel Books for Monday! Palermo Guide for Digital Nomads (City Guides for Digital Nomads Book 1). by Barbara Riedel. Price: Free. Genre: Travel, Specialty Travel, Business Travel. Rated: 4.7 stars on 4 Reviews. 31 pages. ASIN: B01M1GN5NZ. Posted on May 14, 2017 Author KibetCategories business, Free Travel Kindle Books, TravelersLeave a comment on Kindle Travel Deals for Sunday!